With a new Doom on the way, there’s a debate to be had about what should come back and what can safely rot in the underhalls of early ‘90s history. 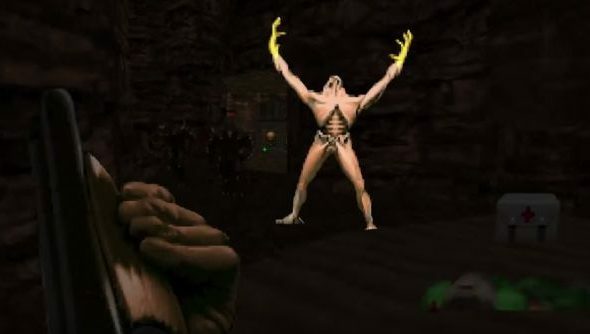 Some are obvious or already-revealed inclusions – the imp, the shotgun, map-making – but one we are yet to see, and I believe is vitally important to the structure of Doom, is the Arch-Vile. They’re the skeletal menace of we first saw in Doom 2 who resurrect dead enemies in their spare time between incinerating hapless players with ludicrously powerful blasts of fire. One of the most well designed enemies in video game history, the effect they have on the Doom formula is singular, dangerous and fun. Need more hordes of hell? Here’s everything we know about new Doom’s release date, beta and more. The key to understanding why the Arch-Vile deserves to be brought back is acknowledging that they are unique within Doom’s antagonistic cast. Consider their attack: an infinite range, charged hit-scan that does blast damage for a murderous amount of your health pool. Surviving it is a matter of breaking line of sight or killing the demony source. That is not true of any other enemy in the game. Doom is, once you strip away the particles and damage values, a game of dodging projectiles. Dance between fireballs here, pirouette around rockets there, always be throwing out your own globs of death. Speed and never stopping are the keys to survival, but the Arch-Vile demands you hide behind a pillar for three seconds. Even the Chaingunner, a similarly deadly threat when allowed to focus on the player, doesn’t have the range, burst damage, or large health-pool of the Arch-Vile. And that’s all before you even get onto their main ability of resurrecting slain monsters. It presents a threat that can multiply quickly and in a far deadlier way than the Lost Soul-spitting Pain Elemental. Even an Imp or Shotgun Guy is more deadly than one of the flying skulls. Rather than putting the onus on the designer to create a large horde, the player has control of just how much stuff he ends up fighting – but knows that inaction will be unwise. These two offensive capabilities combine to make an enemy that demands attention. 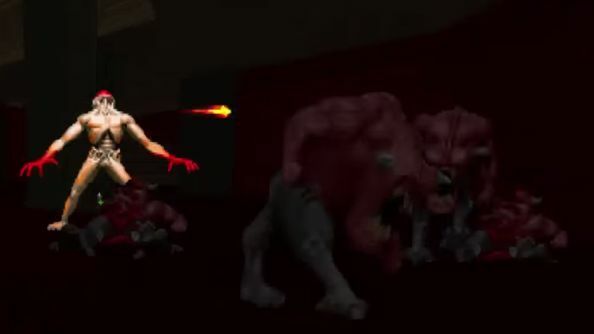 In a room containing every one of Doom’s biggest, nastiest creatures, killing the Arch-Viles first isn’t just tactically sound, it’s the only option. They’re worth sacrificing ammo, health and positioning for, because they’re going to take all three of those away at an astounding rate if you don’t. A reckless charge isn’t the solution either, because any reasonably built encounter or level will become almost impossible to complete if an Arch-Vile manages to tag you with just one attack. They’re so very hard to kill safely that as soon as one enters a room, your perception of that arena changes. You’re reconsidering terrain for safe spots. You’re immediately evaluating which monsters can be safely killed outside of resurrection range and which are just coming back to the ammo-sucking party. Even getting the Arch-Viles themselves dead can be a challenge with their large health pool. They have a very small flinch chance, something that all enemies can do each time they are hit. With the long wind-up on their attack it’s a necessary buff to make sure they can ever get it off, but makes them even more unpredictable. Between this and their undodgeable nature, Arch-Viles are the only enemy in the game to have an advantage in a 1v1 situation on open terrain – even the mighty Spider Mastermind, with its chaingun and massive health pool, can be out-ranged. Once they’re dead you have to deal with whatever likely exposed and unfamiliar situation you’ve left yourself in. And all that only covers the ordinary scenarios in which they’re used. In custom maps I’ve seen them as stationary weapons platforms that can attack from any range, placed in small boxes they can’t leave but can attack through. Sometimes a late trigger-point in a level will unleash them into already-cleared areas, letting them build up a big stack of back-from-the-dead friends like the world’s most horrifying Doom Katamari, rolling towards you in a cloud of meat and fire. Running away just means it will grow before you inevitably end up face to face with it again on one of Doom’s signature sprawling, non-linear maps. There’s also more imaginative uses. Speedrunners often take advantage of the boost an Arch-Vile’s attack gives you from its explosive element, letting them cross gaps or climb walls they couldn’t otherwise. I’ve also seen map types that are just arch-vile gauntlets, where dozens of them are stacked into rooms with odd sight lines, creating a very strange form of hide and seek. You can use invincibility spheres here too, meaning players have to navigate while being constantly blinded by the flame decal of their attack and bumped about by the explosions. What keeps the Arch-Vile from getting frustrating or boring is this variety in how they can be used by level designers. That comes from being a very powerful enemy that has specific, clear weaknesses that force you to play in a new way that is still all the monster-blasting fun of Doom, only riskier. Having an enemy this powerful that players fear and respect but aren’t annoyed by is invaluable. One of my favourite levels in custom Doom map pack Valiant is 14 Angrier Archviles, where you see the eponymous villains teleporting in and out all around you as you move through the quiet opening. It managed to make a collection of 20 year old pixels scary again for the first time since I was about seven years old. They are the perfect game enemy. Strong but counterable, with tonnes of possibilities in how and where they can be used. If Doom wants to be a modern day successor to its roots, they’re a must have. They even work with the systems the new game has introduced – there’s a risk/reward to getting close and I desperately want to watch one be chainsawed in half after the years they’ve spent throwing my corpse around like a rag-doll. Imagine the resurrection animations on glory-killed enemies, bones snapping back into place, jaws still hanging off as they come back at you for round two. An incredible addition to the formula, it won’t be Doom without the Arch-Vile.